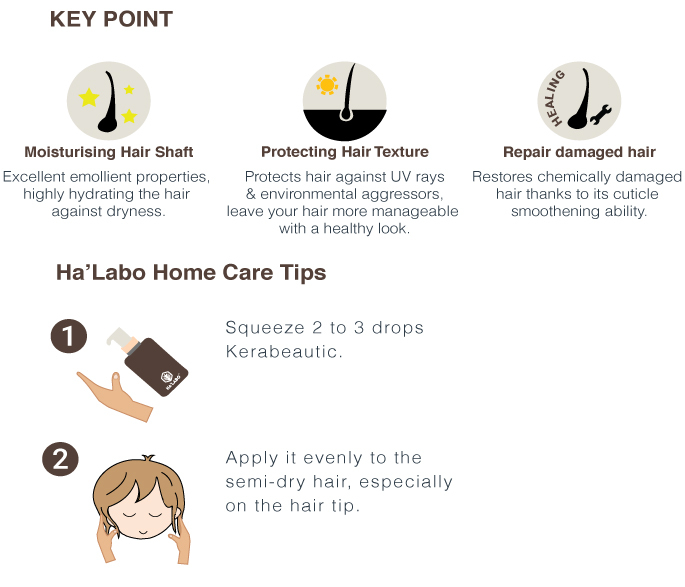 Performing an instant hair smoothening miracles by using HA’LABO Kerabeautic. The formula infused with several herbal ingredients, known to have regenerative and antioxidant properties that promote regeneration, add vitality and strength to hair. Hair is instantly more manageable and has natural healthy-looking luster, render hair texture repairmen effect for long term use.